My name numerology birth date is 21/6/1990. My day number comes out to be 3 and life number is 1. How about my zodiac sign Cancer ruled by Moon(2) as a ruling planet. Doesn't one need to consider that? A good question indeed. The ancient Eastern and Western astrology systems have been rendered highly scientific with the advent of stellar astrology which in vogue since 1970s. The connected astrology numerology studies reveal that though Moon is the lord of your zodiac ascendant, if it is posited in the zone of an evil planet, it will cause only evil to you. Though posited in a good zone Moon which is a feminine planet does not give you the drive to run organizations, head industries, and operate business undertakings of any sort. You are born with name numerology 3 with life path numerology of 1. In order to fulfill your birthdate numerology compatibility, it is important to design a name in the 1 series from 10 to 109. Which name number will suit you best and which set of alphabets will give the lucky vibration are to be found not by traditional numerology but by scientific studies and measurements. In the whole world of numerology on the internet and the world wide web we are the only organization who have the techniques and instruments to measure the body mind soul compatibility of a name and name number with a subject like you. Take a chance and try our system of scientific name numerology and correct your name. It will change your life, solve your problems, and you can attain success in life much more easily from then onwards from the date of your name correction. Why do I Fail Every Where? 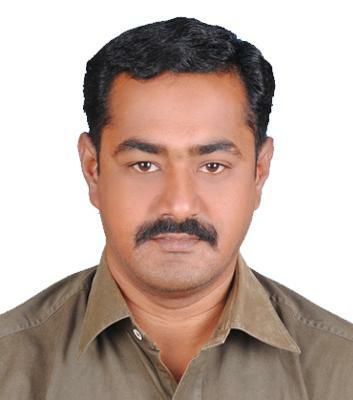 My name is K.VEERA NAGENDRAN with name numerology DOB 21-03-1977, time 4.44pm. My life has a lot of problems. When I will come to good position? How to get it? Now I do my own business from 05-12-2010. Business name is GURUDEV TRADER. Please explain my position. Any Changes? You have to thank your stars that you have come to me for advice and not gone to any free numerology prediction site. You are born with numerology 3 in your day number and in your life path. Your name is in 7 which causes financial bad luck and it also prevent success in your love, business, and marital life. Unless you have a very powerful and perfect name you cannot shine in business with this 3 numerology. You have killed your happiness by having this defective name. The portions DRA and RAN in Nagendran cause bad luck every where in your life. These negative terminologies in any name connote bad luck and failure. Therefore your name is unlucky. GURUDEV TRADER is defective in vibrations. You thought that 32 and 50 will give you success. But it is not so. Gurudev fails in written sound vibrations and spoken sound vibrations. It makes your business name unlucky. Then how can you expect success? In business numerology, your success depends on having a perfect flawless business name. Therefore, if you want to remove your problems and get business success, you must correct your personal and business names.